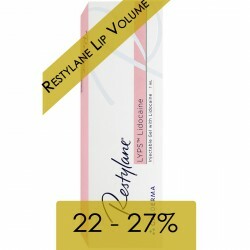 Restylane® Defyne Lidocaine (1x1ml) - Aesthetic Pharma Sp. z o.o. 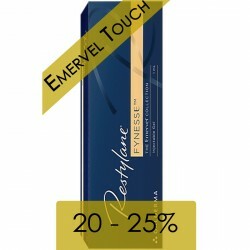 Restylane®Defyne (Emervel®Deep) has a high volume lifting effect and integrates with the skin matrix to smooth away deep wrinkles or folds such as naso-labial and marionette lines (mouth-to-chin lines). The addition of 0.3% lidocaine ensures comfort during treatment. It is injected into the deep dermis or upper subcutaneous layer.